Remember that BlackBerry Curve 9320 that was outed by T-Mobile U.K. earlier this month? It has now shown its face in a leaked photo that has been circulating the web this morning. It's certainly not the prettiest BlackBerry we've ever seen, but it does have a few nice features that will undoubtedly appeal to budget BlackBerry fans. In addition to the BlackBerry OS 7.1 operating system, the Curve 9320 also features a 2.44-inch display with a 320 x 240 resolution; 512MB of RAM, Wi-Fi and HSPA connectivity, and a 3.2-megapixel rear-facing camera. According to Sohoa, which is the site that first published these images alongside a hands-on, the device also features a "better keyboard," and is thinner than the rest of the Curve lineup. There's no word on that rumored dedicated BlackBerry Messenger key, however. 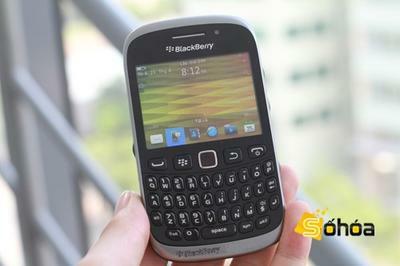 The device is expected to be part of RIM's BlackBerry push in India, and may also make its way to Indonesia. As we know, the handset has also been spotted on T-Mobile's U.K. website, so it's likely it'll also pop up in parts of Europe. Despite these leaks, RIM is yet to announce the Curve 9320. We're expecting the handset to get its official unveiling at BlackBerry World next week. Do you have your eyes on the Curve 9320?